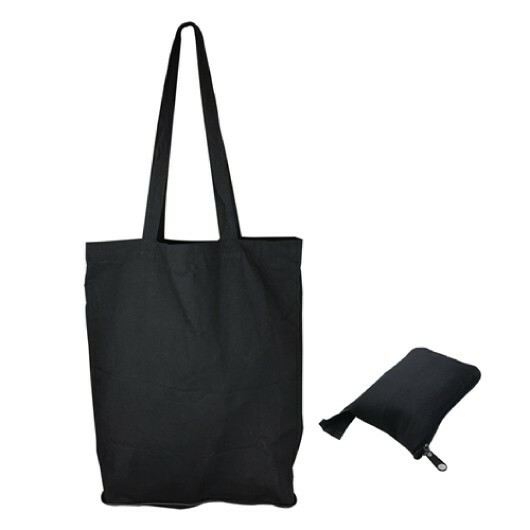 A calico bag that folds down for convenient storage. 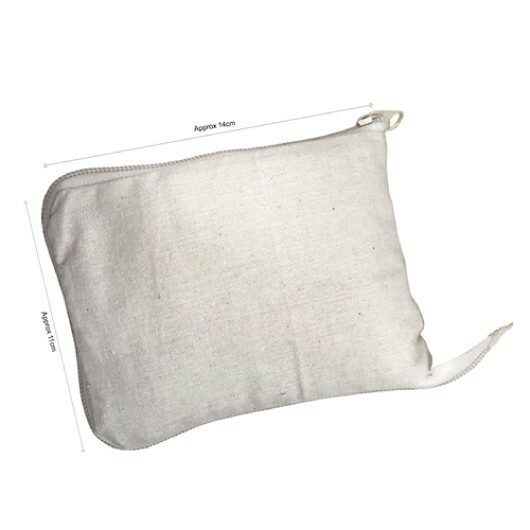 An environmentally friendly bag that can be folded down into a small wallet size when not in use. 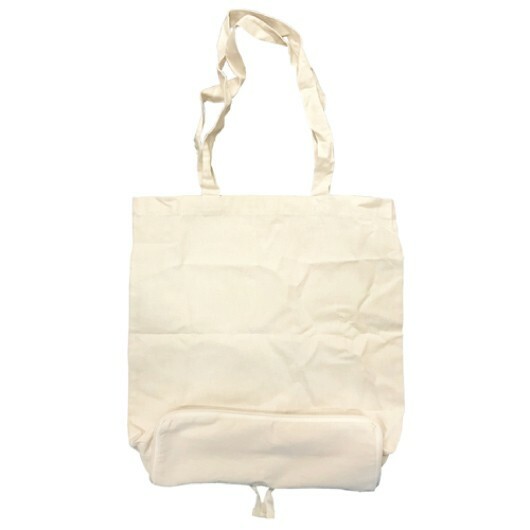 It's made from 6oz calico material and has long handles allowing for easy transport on the shoulder. 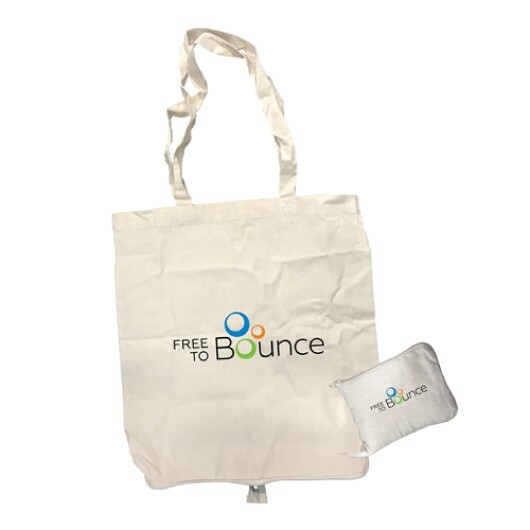 Great for grocery shopping or as a day bag carrying small items throughout the day. Available in traditional natural colour or black.